It’s been a long, circuitous journey, but Lil’ Wayne lived up to his promises that hip-hop’s Chinese Democracy, Tha Carter V, would receive a 2018 release. It’s out today, and do know that the fault isn’t on Weezy so much as the red tape that often gums up the music industry. 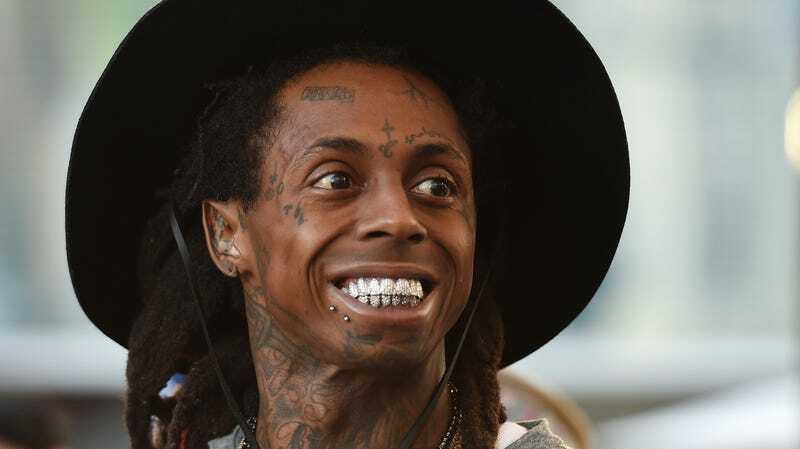 Announced in 2012 and slated for a 2014 release, Tha Carter V was held hostage by Cash Money head honcho Birdman—Wayne’s one-time mentor—who Wayne subsequently sued for $51 million as a means of parting with the label. It took three years for the legal battles to settle, but the album is finally free to reach the public. Whether or not it was worth the wait is in the ear of the beholder, but it’s a thrill to finally hear Wayne’s new collaborations with guests like Snoop Dogg, Nicki Minaj, Travis Scott, and Kendrick Lamar. Of course, a small cadre of fans have already heard “Mona Lisa,” Wayne’s team-up with the Pulitzer Prize-winning Lamar, as pharmadouche Martin Shkreli—the same scumbag, by the way, who scored Wu-Tang’s one-of-a-kind Once Upon a Time in Shaolin—somehow got an early copy. Well, Shkreli’s in prison now and you’re not, so why not enjoy the album in its entirety. Stream it below, and rest assured that the Lamar track is every bit as good as you were hoping.